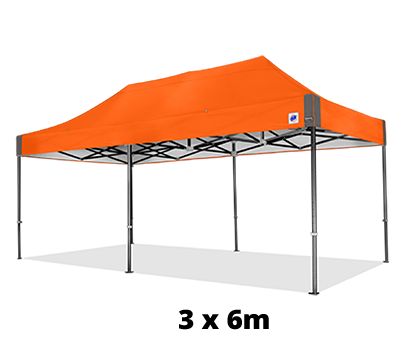 The strongest and most durable Instant Shelter® product in the world, the Endeavor™, is now available with a 3 x 6 m frame. 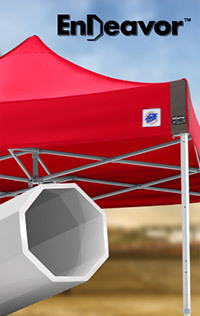 This patented one-piece professional-grade shelter is an octagonal-legged shelter built to be stronger and withstand some of the toughest environments. 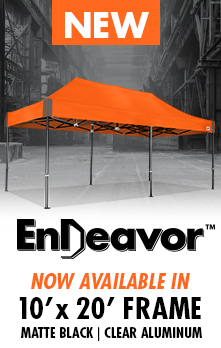 The Endeavor™ is ideal for command posts, recruiting, military, government, motorsports, and more. Comfortable Toggle Grip. 5 Height Adjustment Options. 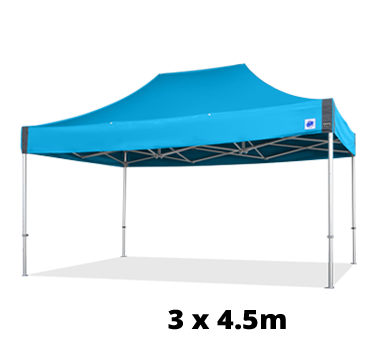 Heavy-duty for Greater Durability. Includes Built-In FXT Attachment Points. 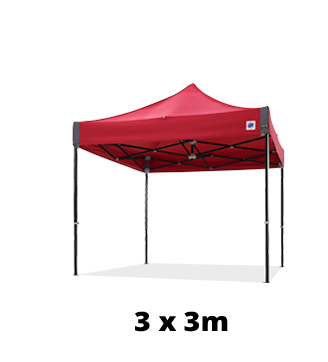 The Endeavor™ frame is made of 6061-T6 aircraft-grade aluminum and features robust octagonal shaped legs and trusses for increased strength and durability. 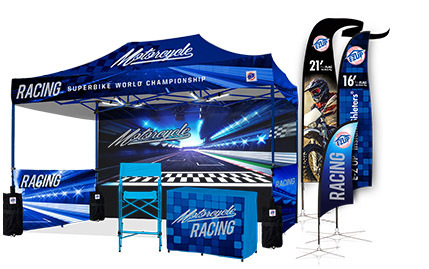 Custom Printing or Mix and Match! Customize your Endeavor™ to suit your style with a custom color top or even custom printed graphics! Whichever direction you go, your Endeavor™ is UP for Everything™.